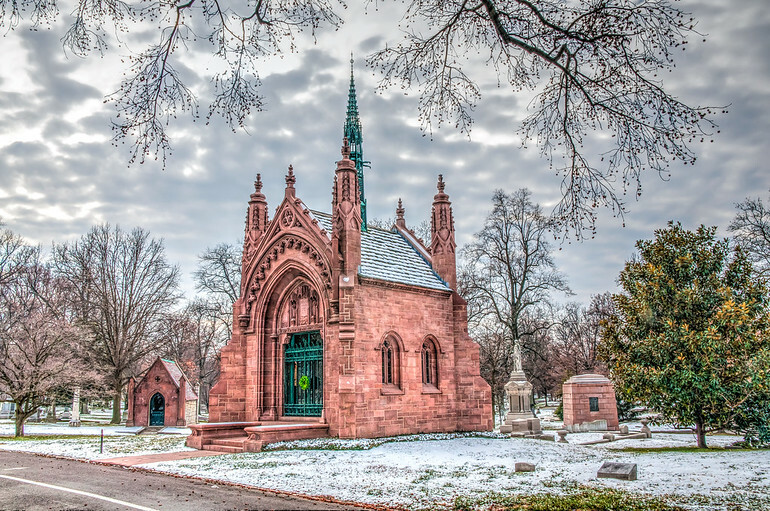 Adolphus Busch (1839-1913) mausoleum in Bellefontaine Cemetery in St. Louis, MO. This is the final resting place of the founder of Anheuser-Busch brewery. Above the entry to the mausoleum are the words: “Veni, vidi, vici” (I Came, I Saw, I Conquered). Bellefontaine is a very interesting place to visite and offers many photographic opportunities.